Free Power Supply with Selected Pedals! 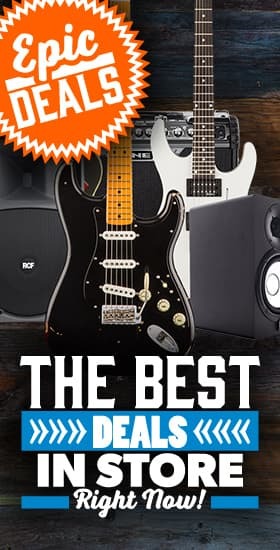 - Andertons Music Co.
Free Power Supply with Selected Pedals! Buy 2 or more of our favourite mini pedals and we'll give you a 5-way power supply totally free! Landlord FX and Tone City make some of the coolest mini pedals on the market. Covering everything from plexi-style overdrive to wild modulation, you can explore your wildest tonal dreams at a fraction of the normal cost. Better still, if you buy 2 or more of these glorious little stompboxes, we'll chuck in a 5-way power supply free of charge. So not only will you be able to power the newest additions to your rig - you can power 3 more pedals too! If you've got any questions about this offer, please feel free to ask - in the meantime, check out the selection below!